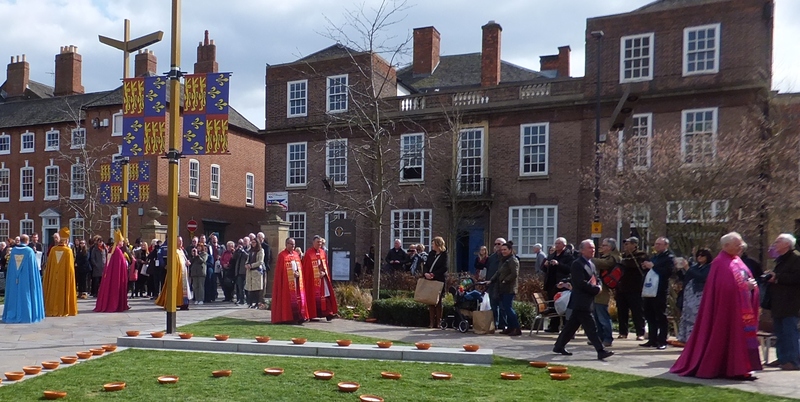 Five hundred and thirty years after he was hurriedly buried in the Grey Friars Priory, Richard III was buried with full honor and dignity on March 26, 2015. My picture taken in 2010. 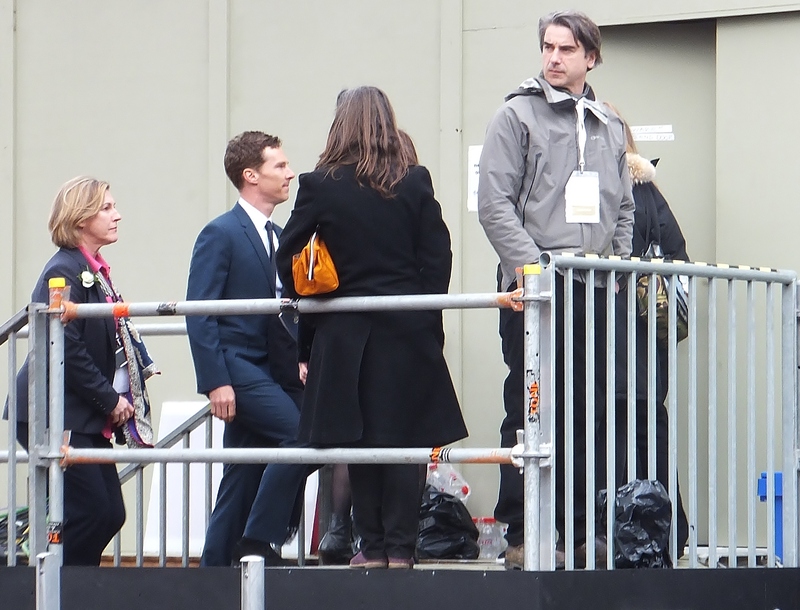 Also, like Philippa Langley, the woman who lead the Looking for Richard Project, I too felt a connection to the car park. 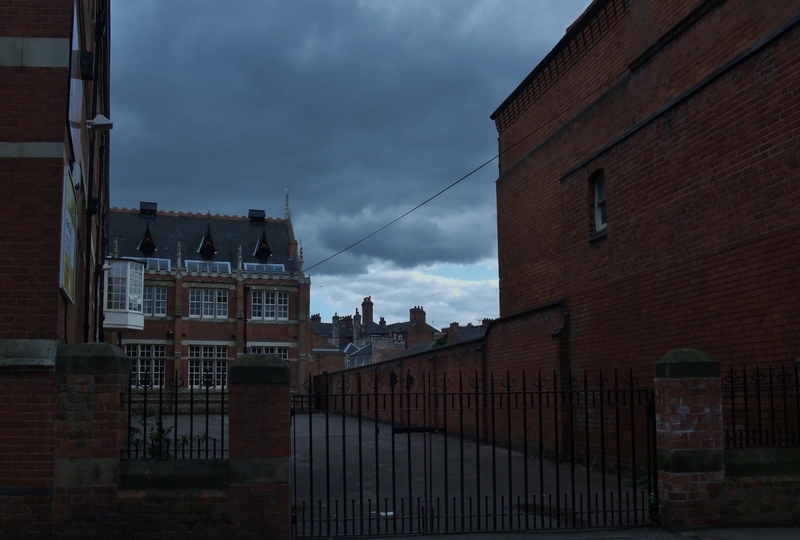 While visiting Leicester back in 2010 and wandering the backstreets of Leicester late one afternoon, I came across a gated site with brick buildings and interesting chamber pots silhouetted against a darkening sky. The place had a haunted feel to it, so I took a picture. It was the same site……August 2012. 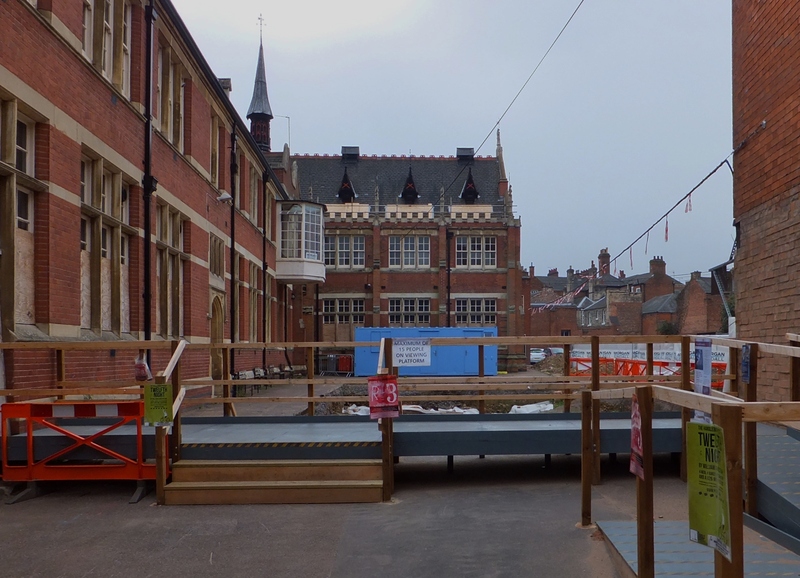 Two years past and it wasn’t until August 2012, when I heard about the discovery of the remains of Richard III in the Car Park, that I took a look at my old pictures. I had a feeling that it was the same site I had photographed…..it was! Once the date of the Reburial was announced, I made my reservations so as not to be left out. 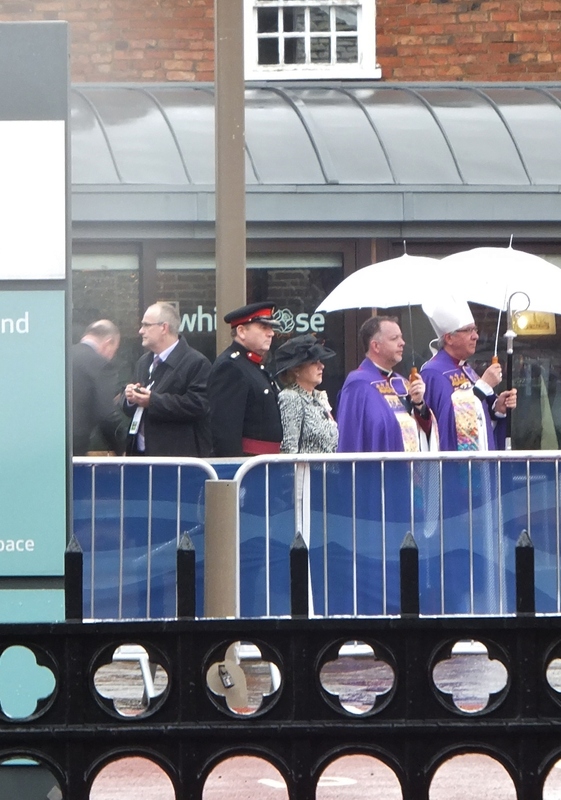 I even entered the lottery for seats at the cathedral…some 600 were going to be made available to the public. I wasn’t successful, but wasn’t too upset as they had 14,000 applications for the draw. 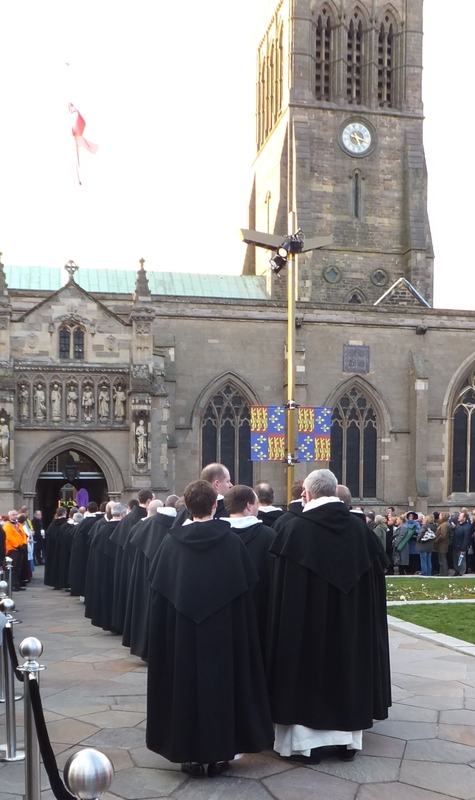 I arrived in Leicester on March 23, checked into my hotel at 3:30PM and hurried off to the Cathedral for the 5:00PM Vespers Service that was to be sung by the Dominican Friars. 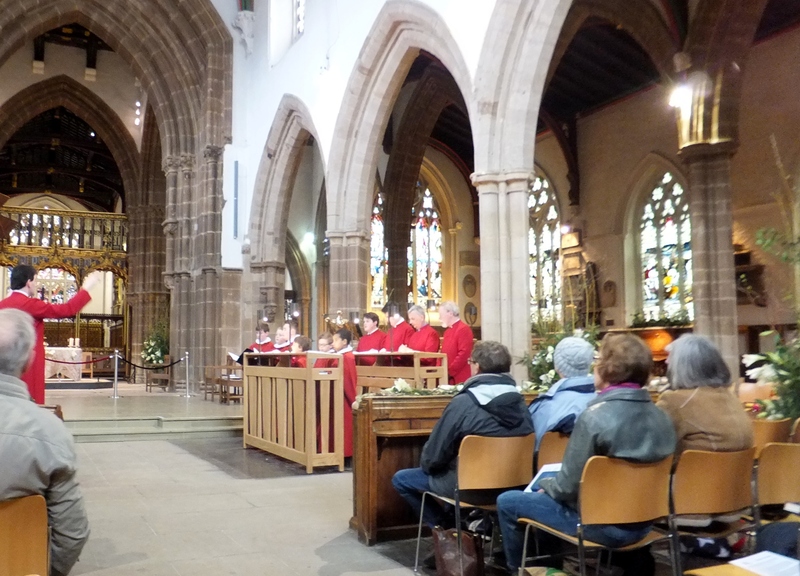 Later that evening, I attended a concert at their church, the Holy Ghost Priory on the New Walk, to hear Aitone, a choir based in the east Midlands town of Long Eaton. They were formed in the autumn of 2005 with the goal of exposing new audiences to Early Music. They are a mixed a capella group singing a range of music from the 11th to the 18th centuries, including Anglo-Saxon chant, West Gallery psalmody, medieval English discant and Renaissance music. They were simply amazing, especially in that venue. Next day was all about attending Workshops on “Writing About Richard and His Times” sponsored by Leicester Adult Education Centre and the Leicester Public Library. 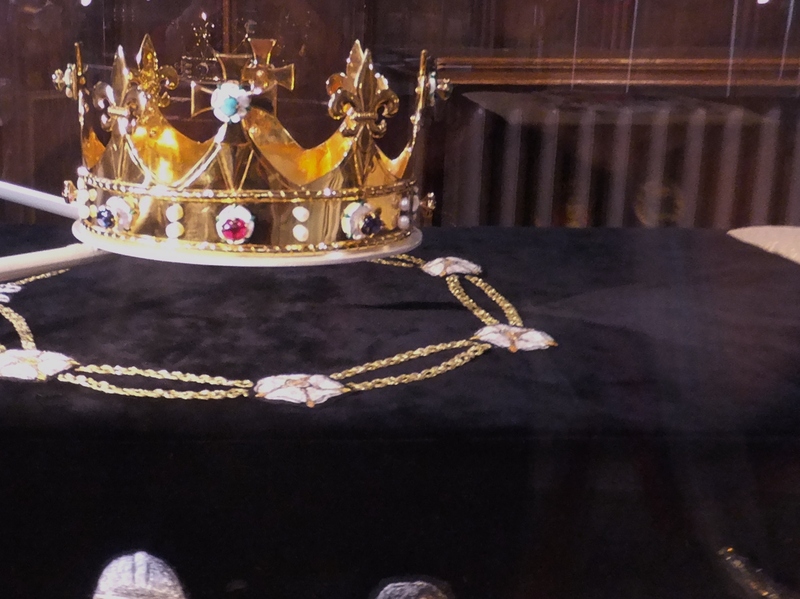 Shakespeare has portrayed Richard III as the archetypal villain, while others see him as a much maligned monarch. What are the facts and how have they been presented? The Historical Novel Society brought together authors from differing perspectives. 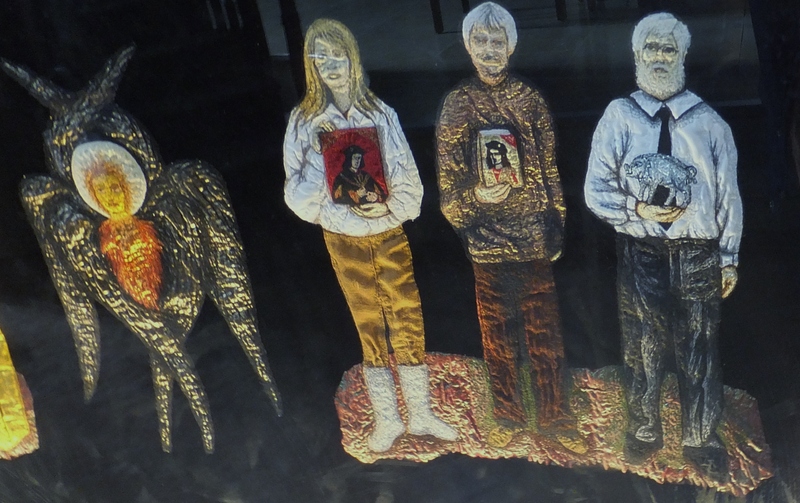 They included Alison Weir, renowned author of many factual and fiction books on the period; Joanna Hickson, broadcaster, author of Red Rose, White Rose and writer on the genesis of Tudor England; Toby Clements, author of Kingmaker and writer on the Wars of the Roses; and Jenny Barden, Tudor era author and creative writing tutor. The English love their history and can be very vocal when defending their point of view. I was afraid a war might break out at one point in the afternoon when a member of the audience took one of the panelists to task! 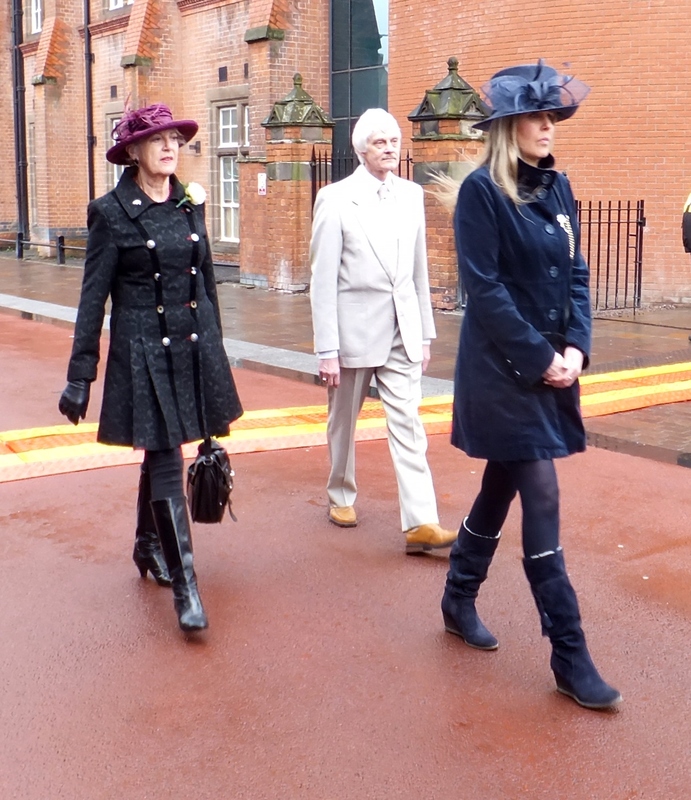 In the evening there was a lively discussion at Leicester Central Library: Richard III in Fact and Fiction – Who should we believe? 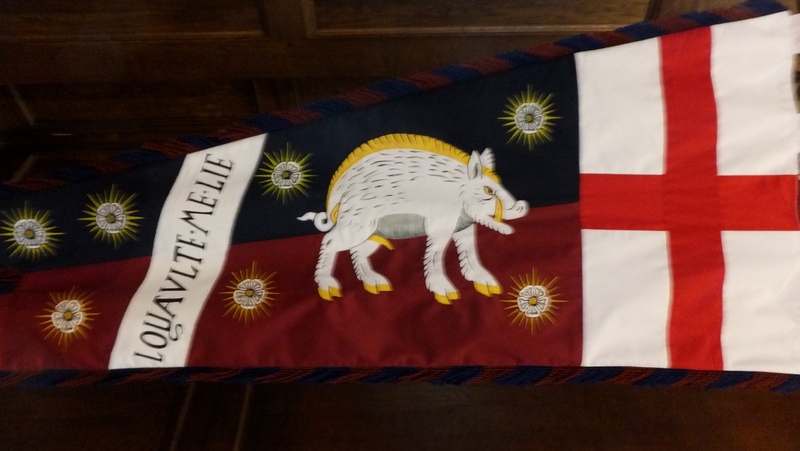 chaired by the Richard III Society chairman, Dr Phil Stone and panelists David Baldwin, adviser to the Richard III Visitor Centre; Peter Hammond, historian, author of Richard III and the Bosworth Campaign, broadcaster and historical novelist Joanna Hickson, and Toby Clements. Never knew the distinctions between History, Historical Non-Fiction and Historical Fiction. WOW…was I educated that night. 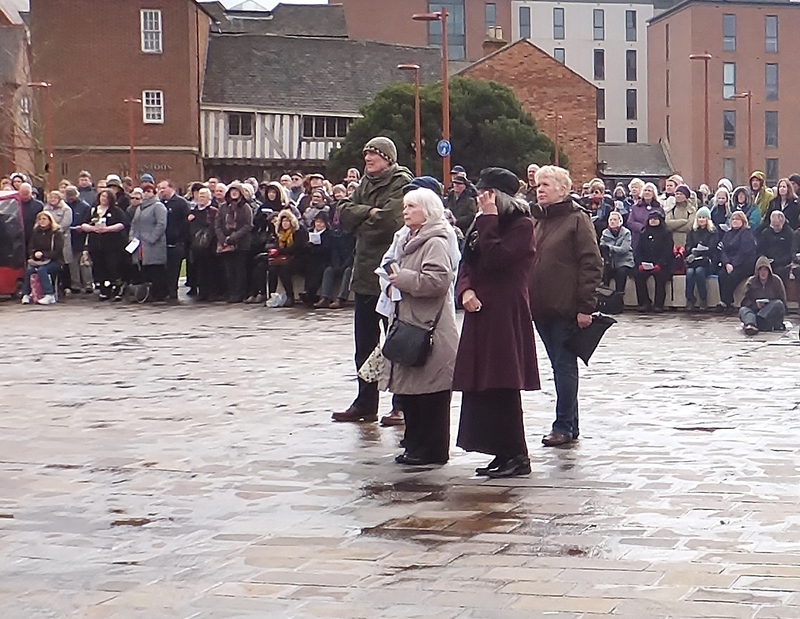 I watched the arrivals of the guests outside the cathedral and then saw the service broadcast on the Big Screen in Jubilee Square. 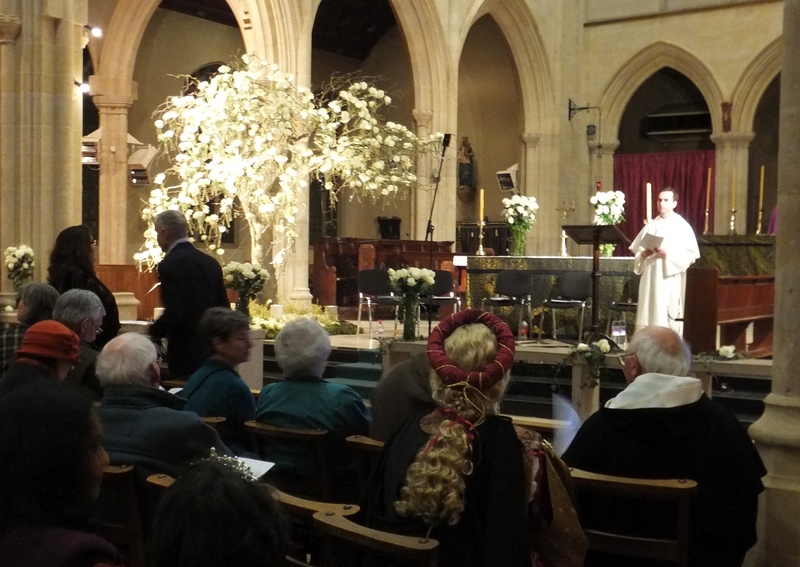 Later that evening the Richard III Society sponsored The Middleham Requiem by Geoff Davidson, a “dramatic cantata which tells the story of Richard’s life using a narrator, three vocal soloists depicting Richard, Queen Anne, and King Edward IV, two choirs (adults and children), a twenty-piece orchestral ensemble and pipe organ”. 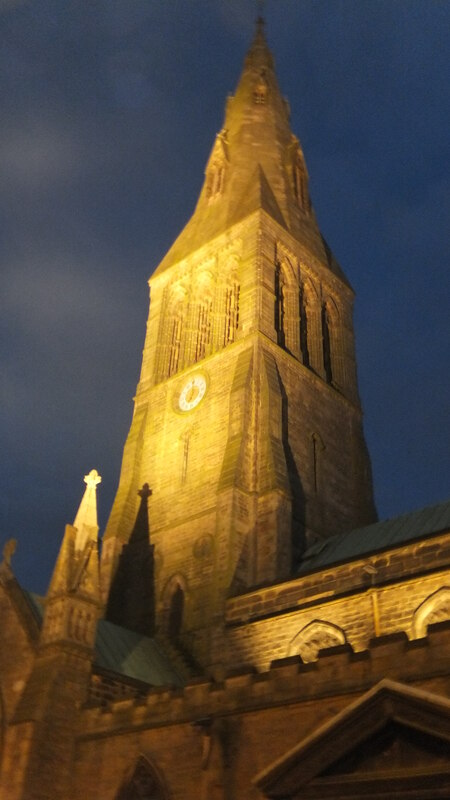 Performed in St James the Greater Church, it was an appropriate closing to a “one of a kind day in history”. 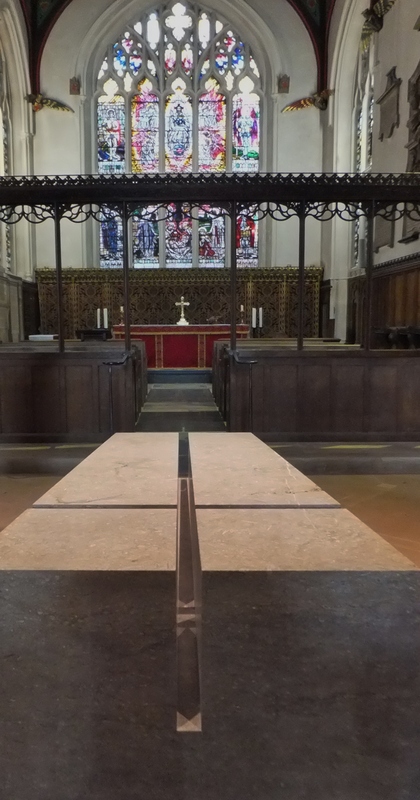 On Friday there was a Service of Reveal to bless the new tomb. It was a warm spring day in contrast to the cold, wind and rain the day prior. 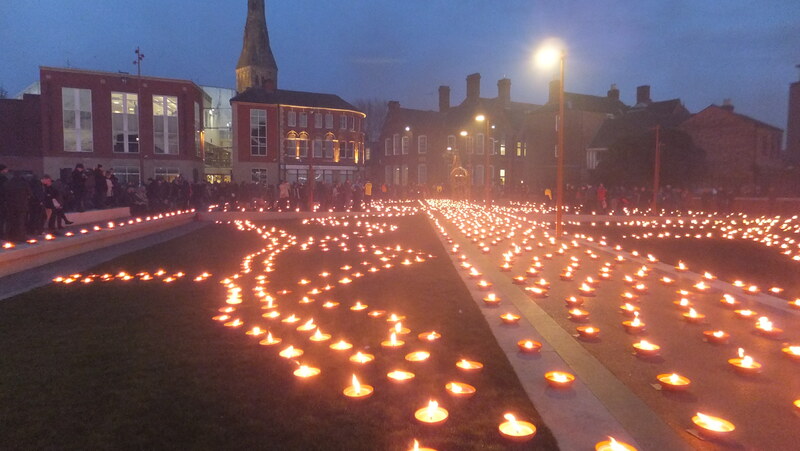 In the evening Leicester was aglow with fires and fireworks. 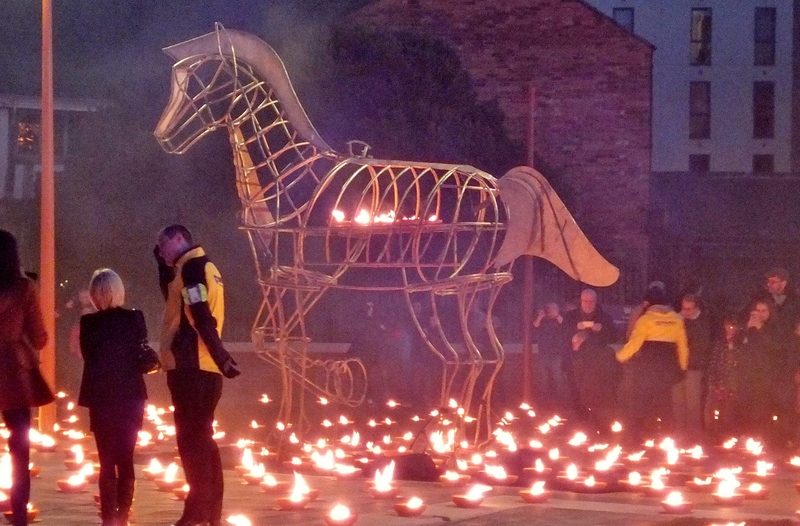 Over 8,000 flames were lit around Jubilee Square and Cathedral Gardens, illuminating the area with a trail of fire sculptures lighting the sky to mark the reinterment of King Richard III. 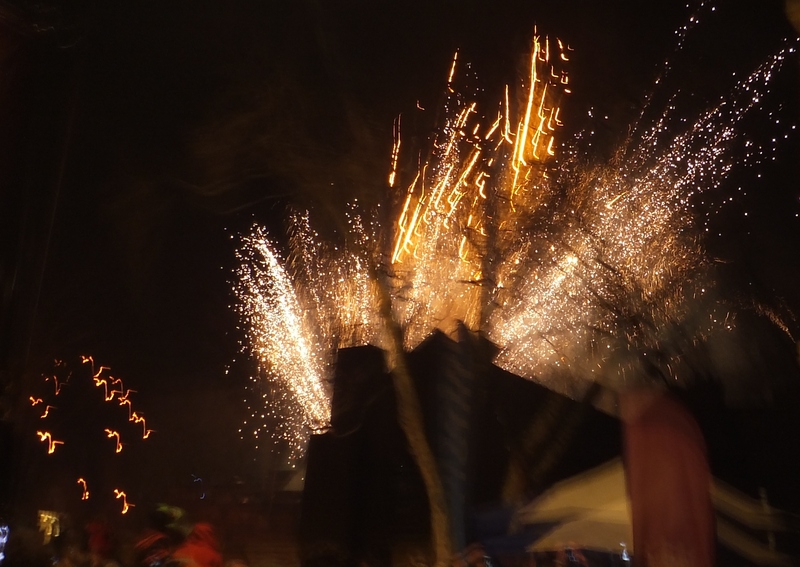 Fireworks were lit from the cathedral area to end the day. 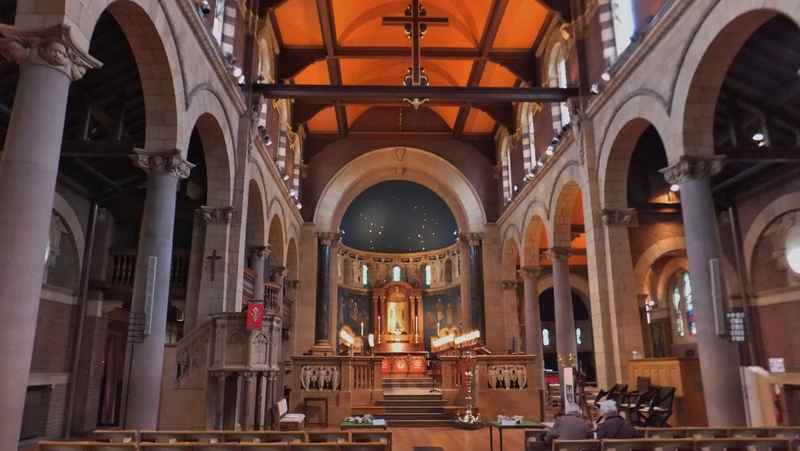 Sunday was Palm Sunday and in the morning I had returned to St James Church for the morning service. In the afternoon, I decided that as I was leaving the next day, I would walk down to the cathedral for the Evensong Service at 3:00. Either the Luck of the Irish or my “Guardian Ancestors” were with me….I had no expectations other than to hear the Choristers. The church was closed to visitors until the next day and I knew that if I wanted to view the tomb, I would have to return early in the morning and line up with the crowd. At the end, Dean Monteith, who had taken the services all week, invited the 20 of us to visit Richard’s Tomb!!! Even those that had INVITATIONS to the THREE SERVICES this past week, would not have had such a moment….something I won’t soon forget….an English Cathedral with the afternoon sun streaming through the stained glass windows, the choir with wonderful voices and a Private Evensong Service with Richard !!! now buried in his tomb! Pete’s Blog last week made the following comment about the work of a cathedral “the special just highlights the importance of the ordinary” referencing the Richard III Reburial events of the past week and the ongoing work of a cathedral…well today was just an ordinary Sunday Service and I was just an ordinary person….but somehow the ordinary became very special….. Farewell Leicester….until next time! 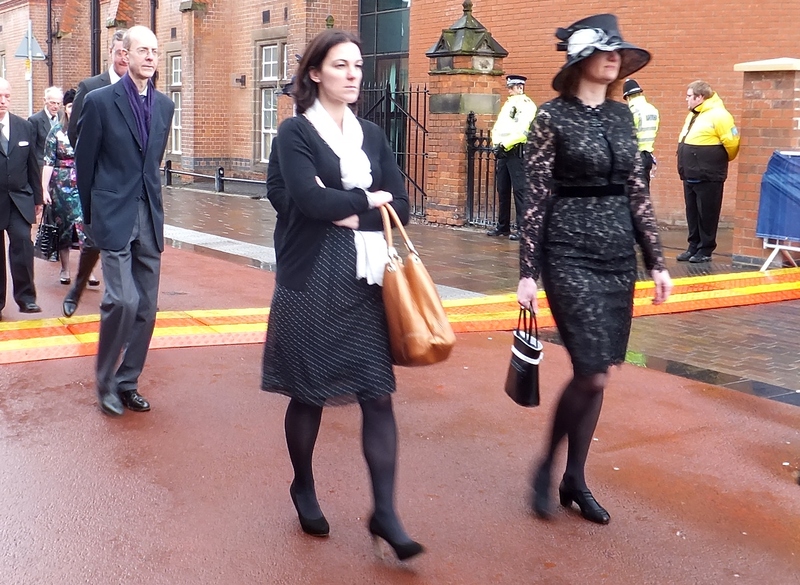 Rest easy……Richard III……..The King in the Cathedral!